Need to lay low to avoid Avengers spoilers? Quick, in here! 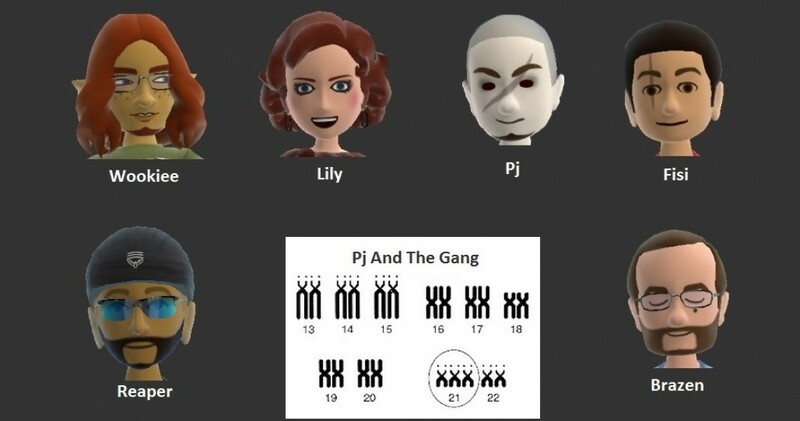 In this week’s Pj… and thw Gang! Fisi does favors for movies, Pj watches Wookiee yelp at sea, and why buy the cow when you get the twist of West World for free? What do you get when you have drunk friends, weapons and a lawn mower? Yep. Face Pubs Salad. If you were turned off by a strangely-placed Milk Beard, then you came to the right place! This week we dive back into the viewing habits of the native and domesticated Fistivius Whippidus! Wookiee and Pj compare nonexistent parenting notes! We all hope that Brazen returns with kilts and bagpipes! We urge everyone to try A Way Out (even if we don’t mention it on the show – its a great game to play with a friend)! Find us on Facebook , Twitter , Google+ , SoundCloud and YouTube. So I got an air freshener in a gaming crate…. Is that some kind of hint? Am I supposed to hang it on my gaming chair?…. These is fresh beats yo! Dropping the Mc! The gang wishes Brazen well on his trip to Ireland but the emptiness is filled by a visit from Lily. We also hear an old story about a man following his dreams and getting his message heard. Inspiring stuff! Absent. Abs ent. Weird word, absent. Abscond. We’re proud of what we do here, and today I think Dig’em would be proud too. Pj knows you like the peanut butter, Brazen knows you like the sugar milk slop, Wookiee knows you like the tryin’a make-a bebbees, and Fisi knows not how to read a real watch. Find out how we expertly MC that all together into the same Skype call! You’ll be glad you did. I think Dig’em would be proud too.